1 x Fuchsia hair scrunchy. 1 x Navy blue hair scrunchy. 1 x Jewel green hair scrunchy. 1 x Green hair scrunchy. 1 x Light pink hair scrunchy. 1 x Yellow hair scrunchy. 1 x Blue hair scrunchy. 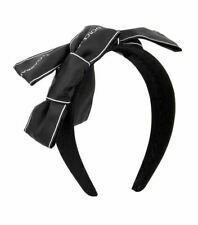 1 x Black hair scrunchy.